The gentle shapes and curves of the formulate 20' line of exhibits from Thompson Kerr Displays, create and elegant flow within a space. 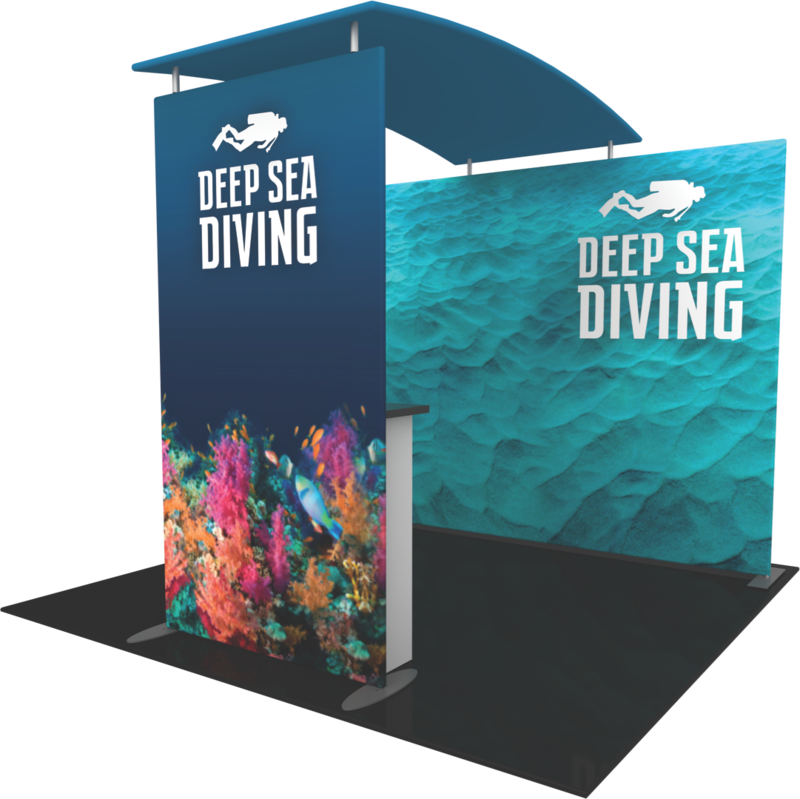 These displays can feature a single sided or a double sided fabric graphic, which provides more real estate for branding and messaging. Pillowcase style fabric graphics are coupled with sturdy, yet lightweight aluminum frames to create the unique shapes. Accents provide shelving, surface areas, monitor displays and additional messaging areas.